Two brochures for the Mack Printing Group. Both used the same layout inside, with different text. 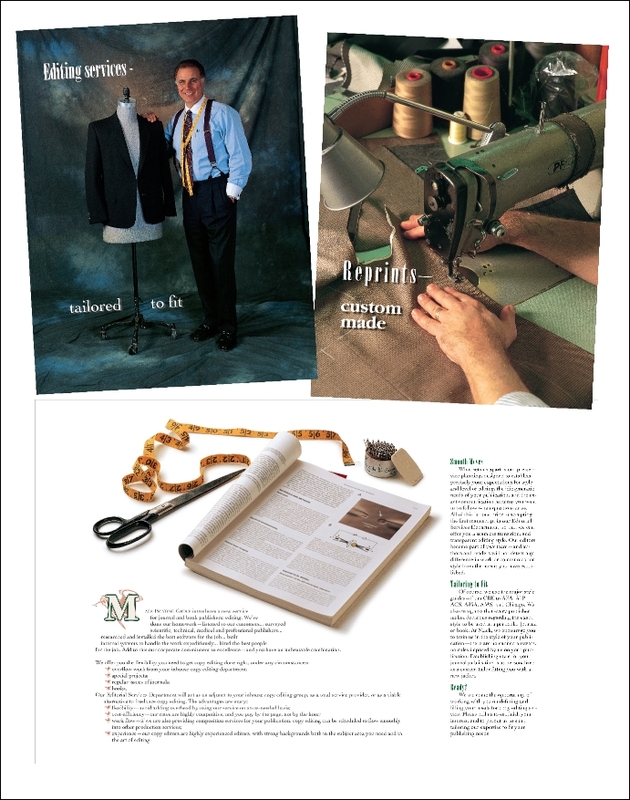 The model shown full figure is a tailor. 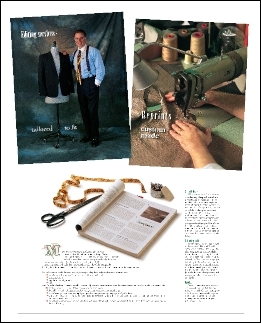 I was the hand model on location at the tailoring factory.